Fantastic Kickstarter idea: a toy that gets girls excited about engineering, math, and science! 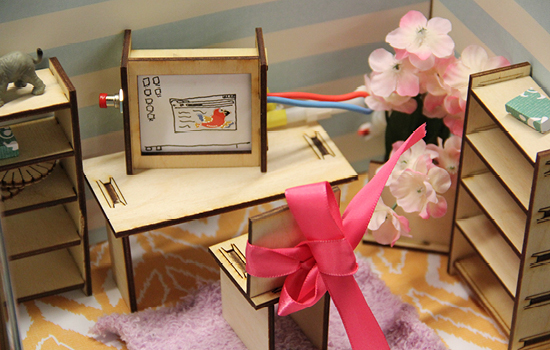 “Roominate is a kit of wooden building pieces and circuit components with which a child can use her creativity to design, build, wire, and decorate her own unique interactive room. Entry filed under: Uncategorized. Tags: be the change, education, engineering, Helping Women Helps the World, Kickstarter, math, Roominate, science, STEM, women, women's development.